This month, San Luis Obispo County will be welcoming the Amgen Tour of California to Morro Bay! The Amgen Tour of California is one of the most exciting events to hit the state for the cycling enthusiast and will be racing through SLO County on May 18, 2016 as it travels from Morro Bay up Highway 1 through Cayucos, Cambria, San Simeon and Ragged Point to Monterey County. Stage 4 will be the longest stretch of the race, covering 133.6 miles. The 11th annual Amgen Tour of California is an eight-stage event covering nearly 800 miles of California terrain May 15-22. This year’s event will include 18 of the world’s most decorated and esteemed teams with many of the top cyclists in the world, competing for one of the sport’s most coveted titles. The Amgen Tour of California is a unique experience, whether you are cycling, watching as a bystander or representing a host city. Staying in Morro Bay the night before the race? Grab your ticket for the Amgen Taste of the Race progressive dinner and eat your way along the race course with live music from Azure Tres from 6-8pm. 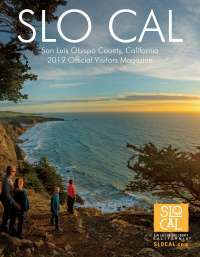 Click here to see the official Morro Bay Spectator Guide. The video below was released by Amgen Tour of California and highlights the various host cities with their diverse attributes. We hope you enjoy this short exploration of our coastal communities. 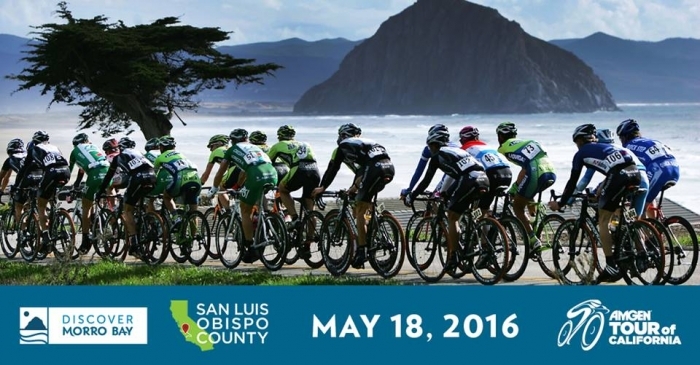 Visit San Luis Obispo County hopes to see you at the Stage 4 Start in Morro Bay on Wednesday, May 18! For more information on the Amgen Tour of California please visit www.amgentourofcalifornia.com or if you would like to plan to visit Morro Bay visit www.visitsanluisobispocounty.com.